Imagine you could meet some of the world’s most successful people. If you could meet individuals who have overcome odds, pursued their dreams, realized their goals and were leaders of purpose and vision, what might they say to you? 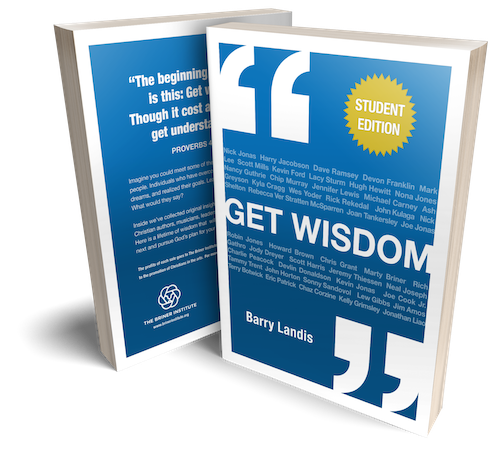 This Bible study is designed to accompany the book "Get Wisdom" from The Briner Institute and help drive your students to find out what wisdom is and learn from the wisdom of other Christians of our day! Check out this book - perfect for graduates, perfect for students during this series. An awesome companion project! Grab a copy of "Get Wisdom" from the Briner Institute.